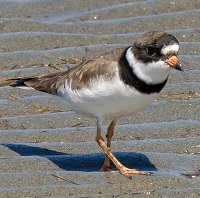 Join the Coastal Observation and Seabird Survey Team (COASST) at the Grays Harbor Shorebird and Nature Festival and help make a difference for the environment! COASST participants collect data on beach-cast carcasses of marine birds on a monthly basis to establish the baseline pattern of bird mortality on North Pacific beaches. Data collected helps address important marine conservation issues and protect marine resources. Beach surveys are best conducted in groups of 2 or more—please come with a survey partner in mind or plan to join a team during training. To view their flyer, click here.